I'm sure you'll agree that the internet is 99% a visual medium. Photos have always been an integral part of web design and recently popular social networks such as Instagram and Pinterest raised the bar for all of us. But what if you're not a photographer and you don't have a designer at your disposal? You've guessed it, you can use stock photos but I should immediately warn you... Using stock images the wrong way can seriously damage your conversion rates! Anybody looking for a trustworthy mover? 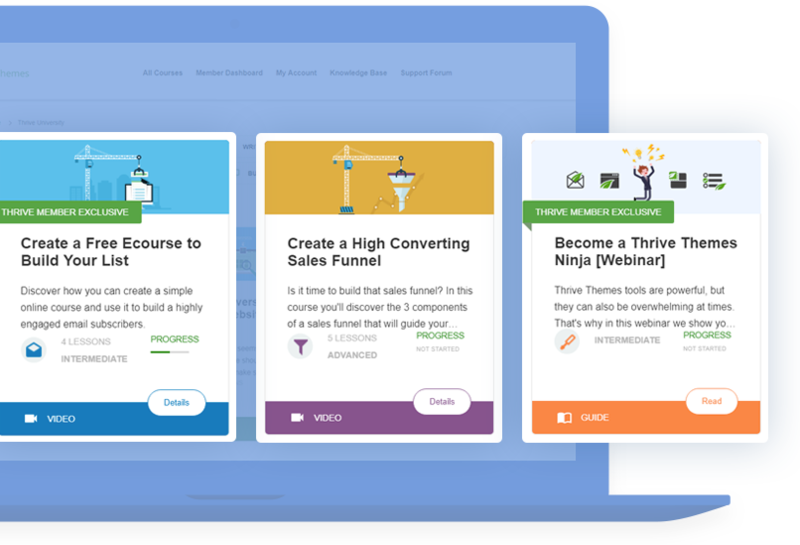 Studies have shown over and over again that purely decorative "feel good" images get ignored and that landing pages with stock photos get lower conversions than landing pages with authentique photos. That is because stock photos have one big problem, they are irritatingly perfect. In stock photo world, nobody sweats at the gym, everybody shakes hands in front of huge skyscrapers under a bright blue sky and dentists make fortunes on teeth whitening. These pictures scream NOT CREDIBLE and this feeling is automatically associated with the page and the website we find them on. 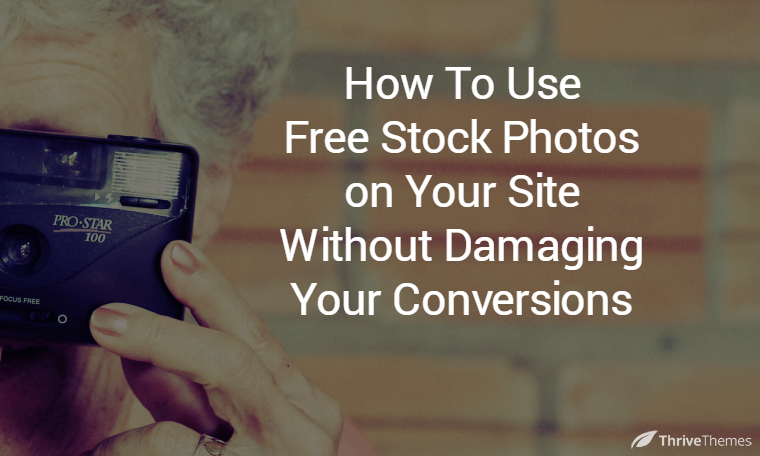 Do not use free or paid stock photos of people on your website or landing pages. Use real, authentic, professional photos of you or your team. Your visitors want to be able to relate to the pictures they are seeing and they'll immediately rate your site as more trustworthy when they do. In 1996 Jennifer participates in a photo shoot for stock photos at Reed college, little did she imagine that for years her pictures would be used on book covers and websites all around the world! 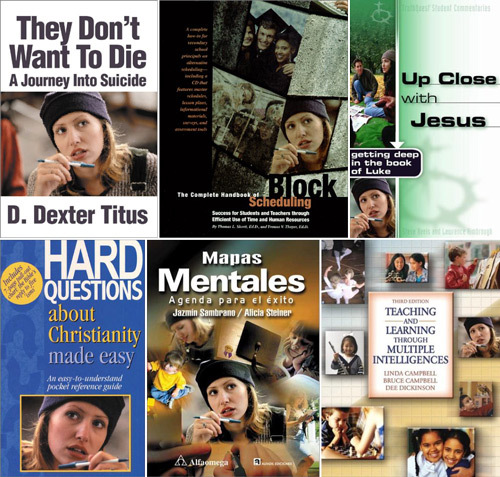 From suicide to mind maps, she's the face on the cover. On her Facebook page she even collects screenshots and photos from websites, journals, books, etc. that have used her photo over the years. Crazy, right? This is a (gorgeous) photo that you can download today on one of the free stock photo websites that you'll find in the list I'll share with you in just a moment. Even though this photo doesn't have the yukky stock photo feeling about it, it can still damage your business to use it on your website because it shows no personality and you'll just be one of the other 8659 websites that are using this photo! Never use stock photos without changing & personalizing them! 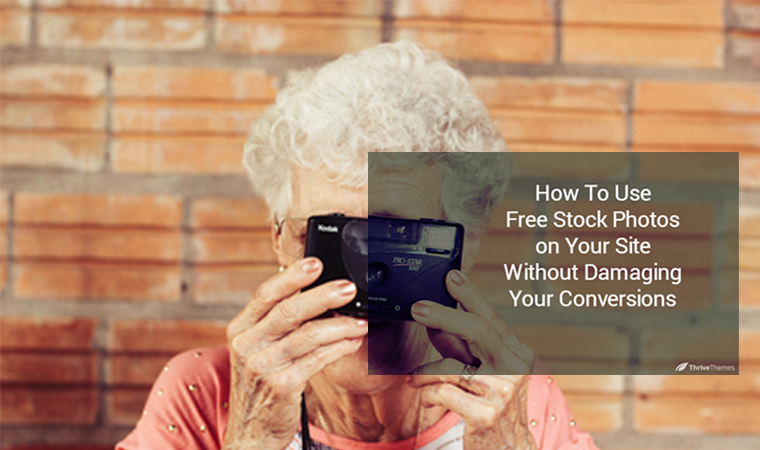 Now that we agree on this, let's take a look at how you should use free stock photos on your blog and website. You've seen that it is a really bad idea to use stock photos as such, without modifying them but you have to make sure that you have the right to modify the images! Photos under the Creative Commons CC0 licence give you the right to copy, modify, distribute any photo, even for commercial purposes, all without asking permission. This is exactly what you're looking for. If you're looking for more free design ressources, click here to access our 25 Free Design Resources every content marketer should know about. All of this can be done with a free online tool called PicMonkey (there are other alternatives out there such as Canva or Pixlr, but I happen to like PicMonkey a lot). In this short step by step video I show you exactly how it's done. Now you can add your text & your logo. You now have a completely unique image that you can use on your blog and share the hell out of on social media without damaging your brand! Now it's your turn. Are you using (free) stock photos on your website? Do you think they might hurt your conversion rates? Let me know in the comments below! Hey Hanne, very good post! There is a saying: An image says more than thousand words. That’s true, but unfortunately on two ways: Most images seen on the internet are chatty prattlers, talking nonsense – far away from a concise message. As a photographer I know how difficult it can be to find the right image for a defined message, herein is tipping point. Hi Christoph, thank you for your comment. You’re right, finding a photo that really matches the message is very hard! Hanne, I’ve heard that Google can find Images based on what is in them, e.g. a bridge, but have never tried to find out if it works. Have you? I’ve been guilty of this! Thank you for the insight on the Creative Commons Act. Until I get professional photos done, I’ll be sure to edit photos from those sites to put my own unique personality on my landing pages. Great to hear that Sean. Hi Mark, yeah it can be some work to do this but it is worth it to keep a consistent brand message! Thanks Jon. It’s my go to resource for quick photo editing! I’ve shied away from stock photos, except sometimes to display my art work, but of course I’ve modified them by adding in my paintings and often cropping the image as well. Combining your own work with stock photos is a perfect way to make them unique, William. EXCELLENT! This is a brilliant and on-point post, with truly useful and helpful info…to make us all look better on line! This is brilliant. Your image with the camera, before and after with the overlay, is so smart and teaches your whole message in, wait for it, AN IMAGE. Well done and I am inspired to do better (and steal your overlay idea, too, which has never occurred to me). Thanks, Hanne! Aside from that, do you rename the image for each blog post? (title, description etc) Or just leave it blank? Hi Bryan, happy to hear you’ll use this method. And yes we do rename all image titles (for SEO purpose). Hi Steve, you’ll see it’s easy to use. Great article! Very useful tips. Thank you! God you guys are crushing it on content. Another great post Hanne! Thanks for continuing to give us great help. Thanks Hanne, for this timely article! I was just about to do a search to redesign my homepage with your newly installed Thrive Content Builder/LeadPage. I also see many of the same free CC images all over the web, but your advice to modify and refresh CC images has made it a priority for me! I use all of my own photos. That’s a smart way to avoid any problem Thomas! Hi Herman, it’s pretty easy and intuitive indeed. Do people REALLY care if an image has been used elsewhere? Hi Trevor thanks for your insight, I don’t think people actually look up what websites are using the same image (I’m just a bit of a geek ;-)) But they might have seen the image somewhere before. Let me give you an example, at one point there was a really cool stock photo with some girl with colorful socks jumping in leafs (something very timely for autumn but also a bit quirky and really recognizable and memorable) and all the sudden I saw this image several times in my Facebook feed but all for different articles… This is rather confusing and is not helpful for the branding of the website. As you can see in the video, it only takes a few minutes to make the photo unique and help your website stand out. I also wonder if at some point Google may look at grossly-overshared images as duplicate content, or at least use is as a deciding factor to determine uniqueness. Thanks Giacomo, happy you liked it. Hey Hanna, great post with a sweet simple solution. .. and i always searched something like PicMonkey…thank you! I’m sure you’ll like it Rita! Great! I always had difficulties selecting pictures on stock sites because they all look fabricated. I now know why and how to illustrate my articles efficiently. Thanks for not being a guru and for providing real value on this blog. So few blogs are of high quality like this one. That was my way of saying: “very helpful post”. Hi Vincent, thank you! I’m glad you like the content we put out. Is there real evidence that using stock photos affects conversions. Stock photos are widespread and usually pretty obvious. I’m not seeing statistics that prove the claim. Stock photos don’t make me question the credibility of the company. I just laugh as I remember seeing that call center gal before! It would not influence me at all in a decision. I prefer to not use stock photos. I look for thought-provoking photos that have a reality to them. I search Photopin as the images are submitted from all over the world and the foreign touch adds an edge. It’s an art! Hi Judith, in the article, I link to several studies showing that stock photos do hurt conversions and that people have more trust in websites with real photos. I didn’t include Photopin because the photos might have different licences (sometimes you have to attribute or you can not alter the images etc.) but it’s a good source to discover nice photos. thank you Hanne for this very informative and helpful article. Love these ideas. On my list of Must Dos is learning how to use Canva. Another incentive to do so! Thanks! Thanks Hanne for sharing these great tips! Loved this post. I use picmonkey but not like that! you have really inspired me! Excellent information, thank you! Let’s see now, if a picture is worth a thousand words, then your post is worth about a million. Hello Hanne, Nice post. I did like the image sharing sites you listed in the post. Thanks. I’m happy I learned you a new “trick” Craig. Thanks for letting me know! Thank you Hanne, good clarification and guidelines, much appreciated. Thanks! I hadn’t heard of picmonkey before. I’m a Photoshop guy, but for fast conversion, picmonkey looks like a great tool. Thanks for the tips on modifying stock images and the links to the CCO sites. Hi Bob, for sure not trying to compare Picmonkey and Photoshop ;-) But like you point out, for quick editing Picmonkey works like a charm. Thank You… Very informative. I never used Stock images and didn’t know why. Now I do and will definitely practice this . Hi Sherwood, thanks for sharing. Great practical & actionable post. I HATE stock images but it is a constant need to source images for posts etc – really appreciate these tips. .
Hi Alison, I understand what you mean! I think that the “new” trend with the more natural looking stock photos is for sure an improvement! Thanks for such a helpful informative post. I need to check my sites and see if I have any common stock photos that need a makeover! Hi Franc, I’m happy to hear this post inspired you to take action on your own sites! Great post, thanks. Learned one or two things. Thanks Hanne. I am always struggling with images and I am grateful you showed us picmonkey. Seems powerful enough. I have tried Canva but it is not for image editing as such. Allow me to share https://www.dollarphotoclub.com/ for very affordable stock photos that people can use. They cost only $1.00. Ooooh! I did not know about them being bought. I still have some credits remaining and may have to stock up to ensure more downloads! Great info. I personally use Canva a lot and use it in conjunction with Pixabay or Pexels, (my go to copyright free image repositories). I have also found that images with text on them tend to do better on social media because I don’t think many people read the text, but rather click on a post on the basis of its image. If there is also a small description on it, it gives readers an overview. Hi Harry thanks for sharing. I do think people read the text, it’s kinda automatic when we see an image with text on it (and I mean a headline or some words, not a whole paragraph). Image the same picture with the camera but without text… Nobody would know what the article is about, and they might not click because it is not compelling. This is true on Facebook but even more so on “visual” social media such as Instagram or Pinterest! Thanks for the tips Duane! I have to say that most of the time, searching Google with this filter I do not obtain very good results :( Flickr is more interesting! Thanks Hanne. Great message on the strength of the personal touch and the trust it creates. If you can find a very underused but great human image, is it still worth using as say an avatar for a company or would you still recommend using pictures of someone in the organisation? Hi Simon, I would always try to have “real” pictures especially for your company. But if you want to use a stock photo, make sure to check where it is used online (through the google image research) before using it on your website. Loved your post, Hanne! Especially as I was about to redo my website photos this week it came at a very opportune time. With your list of favorite websites that distribute free stock photos under the CC0 licence, do you need to link back to the original source or acknowledge the source anywhere on your page when using these photos or parts thereof? Thanks Christin. And no you do not have to acknowledge the source. Another very big advantage of the CC0 licence! My solution to this is that I paid a freelance designer $50 to create a Photoshop ‘template’ that includes the post title, my site branding and mascot. I just drop a stock image into the template, change the post title and export it out to publish on the site. Gives nice consistency to the images on the site (since I started using the template). Also, worth keeping an eye out for AppSumo deals. Roughly once a year they run an amazing deal with DepositPhotos.com. For $49, you’ll get 100 downloads that never expire. Get 2 or 3 of those and you are set for a while. Hi Seppo, thanks for your insights. That is indeed a very clever thing to do! Even if Photoshop is not an option, an overlay image with branding etc could four sure be a big time saver! Very interesting and I include these kind of concepts in our workshops, great to see the message going out there – companies often just don’t realise these things make such a huge difference eh. I get what you mean about modifying photos but unsure as to whether this can lead to its own problems. Great blog though thanks. Thanks for your comment Susi. Hi Lewis, thanks for the tip. Great article, Please also check out http://www.goodfreephotos.com for thousands of unique public domain photos. Appreciate it if you could add it to your site. Hi Yinan, thank you for passing by and letting us know about your website. Wonderful and Thank You Hanne… Over the last week been researching and gathering info to keep a fresh supply of photos and pics readily available to add to my writing. Writing comes easy to me but adding images for better impact has always slowed me down. Not anymore! Happy this was helpful to you Salvatore! Great post. 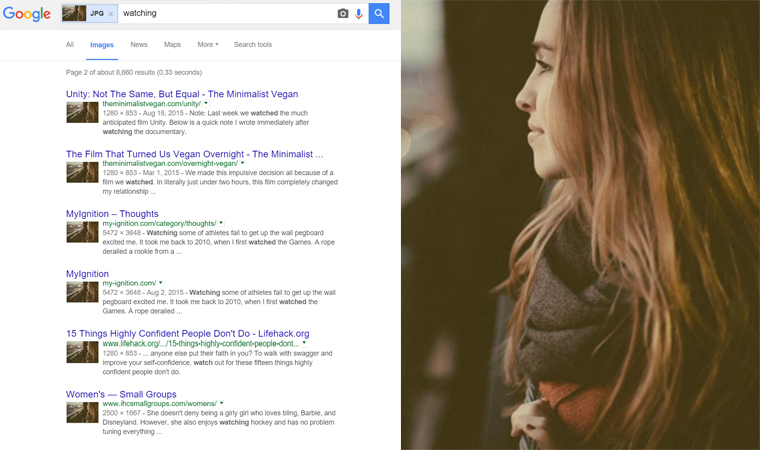 I love the ideas about using “not-so-perfect” stock photos and utilizing more free sites. I have a membership to Shutterstock that runs $169 a month, so will definitely check these out. never knew about this though I’ve been blogging for years. I mean, we all know about resources to free stock photos for all use, but to be honest I never knew how can I leverage the use of it. Very good info I have here. Thanks Shishui. Happy you found this helpful! Of course, I can add link to your post to libreshot – to “wrote about us” page. I added some text as suggested and used this method on my blog posts (thumbnail). But noticed that on the home page of my them (Rise) the title of the post is dynamically overlaid onto the thumbnail, resulting in text over text. Would you suggest only adding text onto images not used as thumbnails, or is there a different work-around? I think in this case, the best way to go is to not put a text overlay on your featured image. This will also allow you to do headline testing. The text overlay can be used for social media or other images in your blog post. Oh my gosh, Hanne! This is the opposite of what I’ve been taught but it makes perfect sense. I can’t wait to go forward with images that I have permission to modify. Thanks for posting. I don’t think many of us newbies know about this. I’m working on a website about relationships and dating. For this type of site I’m not sure how you avoid standard stock photography. I mean I can’t exactly ask dates to post for pictures with me or take pictures of strangers in restaurants. I think if you want to avoid stock photos, you should do a photo shoot for your own website. Spend some time in advance deciding what type of pictures you need and hire a photographer to do a photoshoot. Where does Thrive get the images like the featured image on this post? The images used on our site are all created by our design team. the problem is just that Google is very smart with image recognition… both your images are not seen as unique by Big G! If you look up both urls of your images in Google Image Search, you’ll see that Google doesn’t think they are unique and knows where they are coming from. So, for users yes. For Google, better noindex all images! Thanks Hanne for sharing this great post. Being able to fine quality photos is a blessing. Thanks again. Wow I love it! Thanks for the post and video Hanne! Just go through your article as well practical myself, what a great discover it is really great -thanks for your PicMonkey tutorial, No doubt everybody enjoyed the video, Really it is a valuable resource to use everywhere with related work.Thanks for sharing! Hanne, great job. Thanks for the video. Even though I’ve heard of PicMonkey for years I’ve never used it before. I’ve used Canva instead. I’m definitely going to use it in the future. I’m grateful for your coaching as to how to modify stock images too. I use mostly my own images, Hanna, yet I loved the this you gave here. I will now be able to make them even more interesting. I’ve not used the overlay when adding text so it looks interesting as a way to make white text stand out better on a background that varies in color and brightness. Both tools have pros and cons :) I find Picmonkey easier for simple stuff such as an overlay or resizing and Canva better for more complex design things.